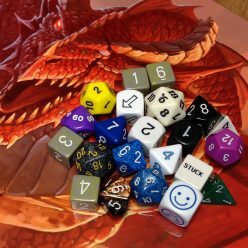 Creatures of the night are, of course, one of the most popular character choices in role playing, thanks to a slew of White Wolf games created in the 1990s and beyond. It inspired dozens of similar games, like “Nightlife,” and is still pretty popular; a new edition was released only a few weeks ago. White Wolf-style vampires are very distinct from traditional RPG characters, with an emphasis on mood and personality, versus an emphasis on killing monsters and taking their stuff. But that’s not the only way to play a vampire game — a vampire can just as easily be a superhero, a character with abilities far beyond those of an ordinary person. There’s Marvel’s Morbius and Blade (a half-vampire, technically). Angel from the old “Buffy” TV show has the advantages but not many of the drawbacks that bedevil Dracula. There’s a vampire protagonist in at least a few of the “Castlevania” video games. And, of course, the one thing that makes a vampire a vampire: the ability to stay in “un-life” by drinking the blood of the living. In some fiction, the reverse, where a living creature drinks the vampire’s blood, turns it into the vampire. In others, a single vampire bite will do the trick. Sometimes, especially in stories where vampires are essentially dark superheroes, using supernatural abilities “costs” blood. In game terms, it reduces the vampire’s Hit Points. 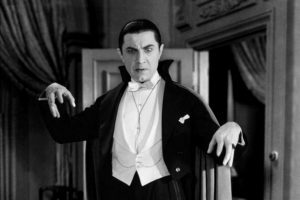 In fiction, a vampire can only use powers a few times before it’s too weak to go on — it needs to drink or sleep to recover. Bloodsucking is a melee/hand-to-hand attack, made without any bonuses from weapons. If the victim isn’t willing, the vampire must succeed at an Action roll to hold the victim in place long enough to drink blood (which takes a single action — unless you want it to take longer for dramatic effect). Each Hit Point that’s drained from a victim is restored to the vampire, like any other healing.